Of course, you do. That’s why you’re here. When we tell people we work online, it still confuses them. What does that mean? How can the internet be a business? Well, the internet isn’t our business. But it definitely helps us run not one, but multiple businesses that generate income no matter where we are in the world. And you can do it too. No gimmicks required. Just real, legitimate ways to make extra money. Truth is, there are SO many ways to make money online. Some are designed to be side hustles while others can become your full-time hustle or business. From freelancing to e-commerce, blogging to teaching English online – there are hundreds of options for you to choose from. And in fact, you can choose more than one and set yourself with multiple sources of income. This article (and heads up: it’s a long one) is going to open your eyes and show you what’s possible. We’re talking about all the best ways to make money online in 2019. Everything you need to know along with tons of handy resources to help you get started and make a success it out. If you want to get started with making a bit of extra income – there are SO many different ways you could do it. Trust us – there are hundreds of options. To help you make sense of it all, we’ve broken it down into distinct categories so you can pick exactly what interests you and pursue it for your very own online hustle. Want to do a bit more than just making extra dollars? Learn how to make extra money with an online business then. An online business gives you the freedom to work on your business, from anywhere in the world, as long as you have internet. You could be in bed in your pyjamas or you could be travelling through Spain – it doesn’t matter. Your business gives you the flexibility to make money online. One of the most popular and well-known ways to make money online is by starting a blog. From travel to fashion, artificial intelligence to calligraphy, food to smartphones – there’s a blog about everything and they can all turn into a fantastic source of income for the creator. 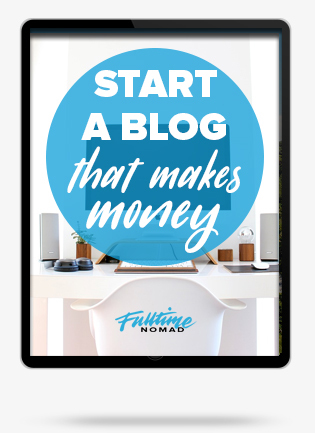 Unlike survey sites or money making apps, starting a blog won’t make you money overnight. However, putting the effort into creating a well thought-out and quality blog can definitely turn into a full-time business. Anyone can start a blog. You don’t need to be a tech wizard and you don’t need a ton of money to get started. 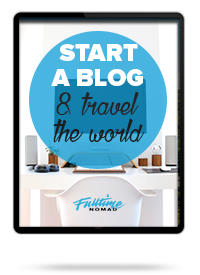 Complete newbies are starting blogs every day and you could be one of them too. – Do your research – learn about the blog niches that make money. – Choose a topic – pick one you’re interested in. 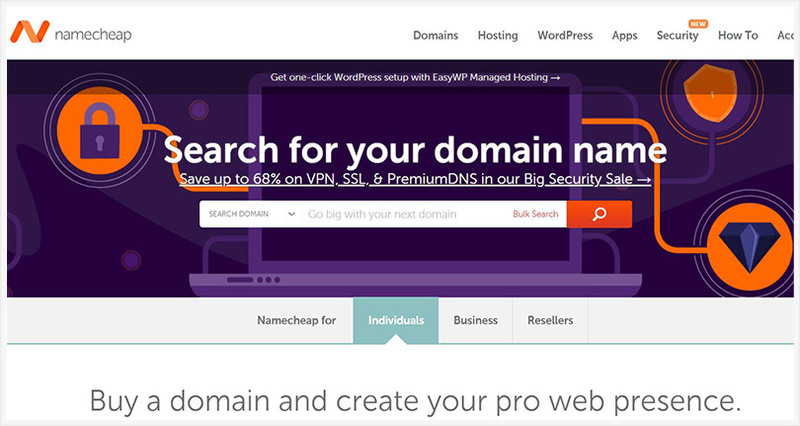 – Set up your blog with hosting and a domain name. – Start creating content for your blog. – Learn how to monetise your content. Our step-by-step blogging course will hold your hand and guide you through the blogging process. 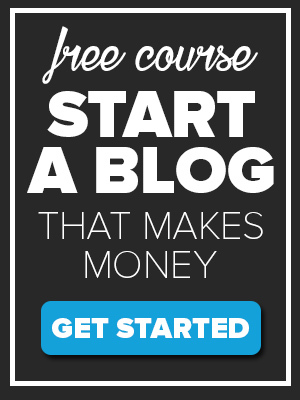 It’s a short, free course designed to help you set up and get started with a blog that will make you money. Fluff-free, practical advice. How would you like to get paid to recommend a product to someone? Think about how many times you’ve bought something or used a service and you couldn’t wait to tell your friends and family about it. Now imagine getting paid for doing so. This is what we call affiliate marketing and it’s one of the most popular ways of making money online, especially for bloggers. You know how traditional sales people get paid a commission for every sale they make? Affiliate marketing works similarly to this. – only that you get to promote the products and services on your blog and not offline. Many popular products and services have affiliate programs. You would need to sign up for these programs or join an affiliate network to get started. You will then receive special links (with tracking) that you must use when promoting your products on your blog or website. Now, every time someone purchases that product, using your link, their purchase is tracked and attributed to you. You will then receive a commission for this and boom… you are now an affiliate marketer. ShareASale: ShareASale has a huge range of merchants to choose from, in every niche available. Amazon Associates: This is the simplest affiliate program to join and one of the most popular ones even though it offers some of the lowest commission rates. What makes this a popular program is the wide range of products that it offers meaning every blogger is likely to find products that will appeal to their audience. CJ Affiliate: This was formerly known as Commission Junction and has grown into one of the most reliable programs available. Rakuten Affiliate Network: Formerly as LinkShare, Rakuten is also one of the most popular and reliable programs where you can find highly sought after products and services. Clickbank: This program features digital products only. e-junkie: This is another program that offers digital products only. 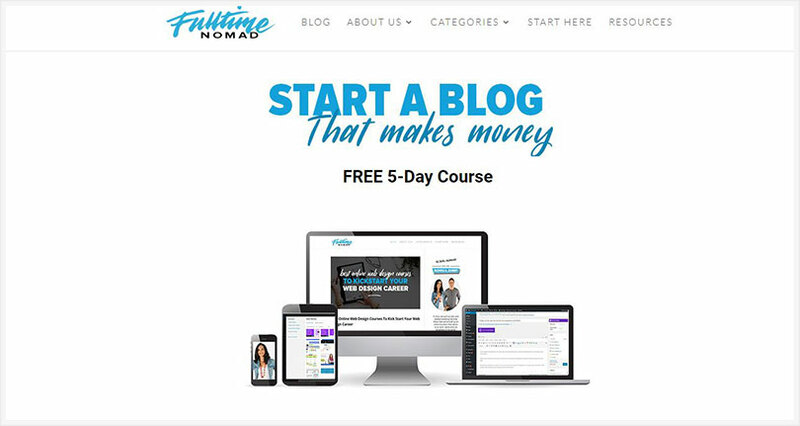 In this post, How to Get Paid to Promote Products: Your Guide to Affiliate Marketing for Bloggers, we show you how it’s possible to sell products and earn commission, without ever having to make your own products. Want to sell things online but don’t really know what to sell? No worries. With dropshipping you don’t even need your own product to start selling online. Dropshipping allows you to source and buy products from a third party and sell them to your customer, without ever having to handle the product. You don’t need to worry about manufacturing or storing the product. All you have to do is sell it to your customer. Most often, your supplier will ship the product directly to your customer also. To start dropshipping you can set up an online store with a website. Most newbies however start off with Amazon as it takes away a lot of the hassle of getting started. Check out Skillshare’s dropshipping course. It’s free to get started. Did you know selling t-shirts online can actually be big business? There are lots of good websites such as Teespring.com, that you can use to design custom t-shirts and sell them for a profit. This is especially a good side hustle if you have a creative eye and can come up with some cool designs that people will want to buy. Are you a great conversationalist? Do you enjoy talking to people and exchanging opinions? Well…, how about getting paid to do it? If you’re passionate about a certain topic – it could be anything – money, interior decor, parenting, gardening, politics, hair, economics …(absolutely anything! ), you can start a podcast. You don’t need any previous experience – just start! How can you make money from podcasts? Work to grow your podcast’s popularity and start charging a small subscription fee. You could also make money from advertising and sponsorship deals. If you have extensive experience in an area or you could even say you’re are an expert in it, you could make money selling online courses. Use your experience to create an online course that people can pay for and learn something valuable. The beauty of online courses is that they have no expiry date and will continue to make you money long after you created them. You also don’t have to spend your time teaching – simply record your course in the form of a video, email or PDF document. If you create a relevant and useful course you could continue to make passive income for years. You can offer your online course through your own blog or website (if you have an engaged audience) or, you could make use of websites such as Skillshare and Udemy to get your online course out there. Notice how there’s an eBook for everything nowadays? From self-help to career development, fictional stories to recipes, you name it. This is because eBooks are so easy to create anyone can do it, you included. Turn your passion into an eBook. You don’t even need to have any writing skills as you can hire someone to do the writing for you. You simply need to have a topic for your eBook. A good ebook, one that provides value to your audience and/or is interesting and unique has the potential to become a constant source of passive income from you. And you already have websites ready to do the selling for you. Heard of Amazon? Getting started with and creating your first ebook is super simple. 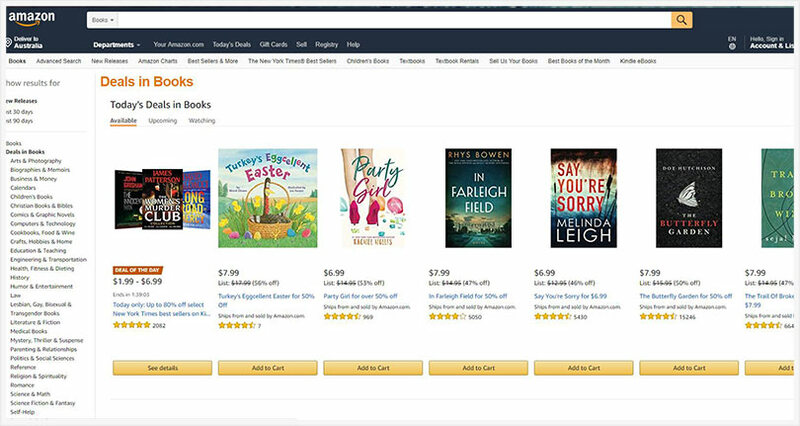 In our blog post, How to Sell Ebooks Online: Make Money Selling Digital Products we walk you through the process and show you exactly how you can sell ebooks online. If you have a specialised skill or experience in a particular area could consider becoming a coach or a mentor to provide guidance to others. Teach others how to find success in your area of expertise. You could coach or mentor people offline through seminars, training sessions or mastermind groups or online through webinars or video tutorials. Got your own product to sell? 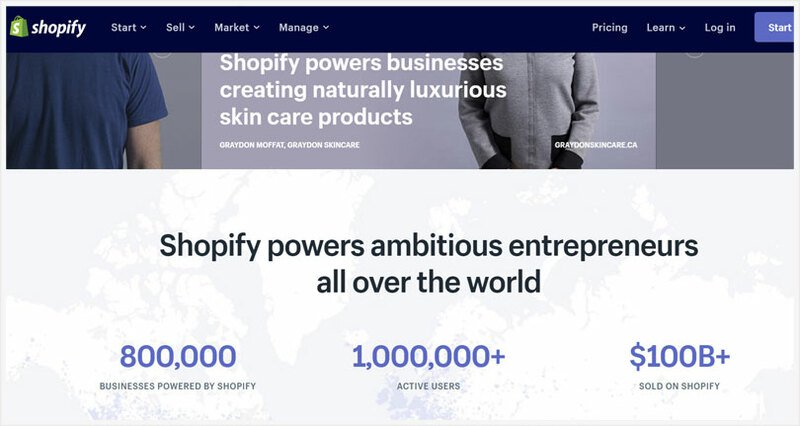 Forget about dropshipping and start your own e-commerce store instead. Selling products online is one of the most common ways to make money online. With the right knowledge and tools, anyone can set up and run an e-commerce store. To get started, you would obviously need a product. This could be a product you manufacture or could even be one you source through a supplier. If you don’t have a product yet, spend time doing the research to find a product you can easily sell online. Once you have a product, getting started is usually pretty uncomplicated. To keep things simple, you could start out on Amazon or eBay and then expand into your online store. The best way to set up your online store is to use an e-commerce platform as this makes the process much simpler. Once your store is set up, get ready to do your marketing to attract customers and start selling products. You can do this with social media, online advertising, offline advertising, public relations and in any other creative way you can think of. While it takes time initially, once your store takes off, it can become a fantastic source of income for you and with consistent sales, could even turn into a full-time source of income for you. If you want to learn more about setting up your own ecommmerce store this free course will help. Do you love making things with your hands? Or are you good at finding high-quality arts, crafts and vintage items? Then you should consider setting up an Etsy store and sell your items. 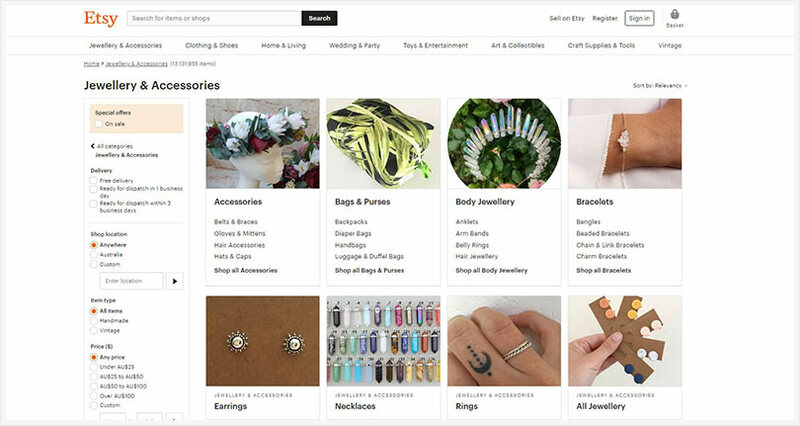 Etsy is a great platform for making money from handmade products, bespoke gifts, creative work or one-of-a-kind products. You can make money on Etsy selling items such as wedding favours, pillows, bags, jewellery, fabric items, charms, stickers etc. It’s free to start an Etsy shop. Take advantage of the tons of support and training materials the site provides sellers. If you want to learn how to start an Etsy store try this free Etsy course at Skillshare. Want to get started with a fairly simple way to make money online? Try online surveys. You see big brands and companies want to get inside the minds of their consumers and they do so by requesting surveys from these websites. From TV watching habits to shopping preferences – they’re interested in various aspects of the consumer’s (i.e. your) lifestyle. As a consumer, they value your feedback so in exchange for you doing a survey on one of these paid sites, you could receive cash, gift cards and other cool gifts. Survey Junkie has been around since 2005 with over 3,000,000 members. Getting started on the site is easy. It will take you a couple of minutes to create a profile, and then answer some questions about yourself and your household. After you’ve created this profile, they will start sending you surveys to take. You can join surveys on the site or you can join through the links you receive via email. When you complete a survey, you are rewarded with points. It’s as simple as that. You can earn between $20 and $200 per survey. The average survey is going to pay around $1 to $3 and you’ll only spend a couple of minutes filling out the surveys. It’s easy money. Swagbucks is one of the biggest survey sites available with over 4 million registered users. You get a $10 welcome bonus simply for signing up to the site. Getting started with Swagbucks is as easy. Simply create an account, become qualified and start taking surveys to earn points. For every 100 Swagbucks that you earn, you get $1. You can use your Swagbucks points to buy gift cards from various stores. The site has other ways for you to make money online such as using their search engine to receive points. Another way for you to earn money is to shop online and receive cash back for shopping at places like Amazon or Target. Another way to earn points is via their referral program. Get your friends to join Swagbucks and you’ll earn 10% of everything that they make. Vindale Research is an independent survey company that works with some of the largest companies in the United States. Vindale Research is also open to people in the United Kingdom, Canada, and Australia. Signing up for surveys is quick and easy. All you have to do is fill in some basic information and then answer some “household” questions. 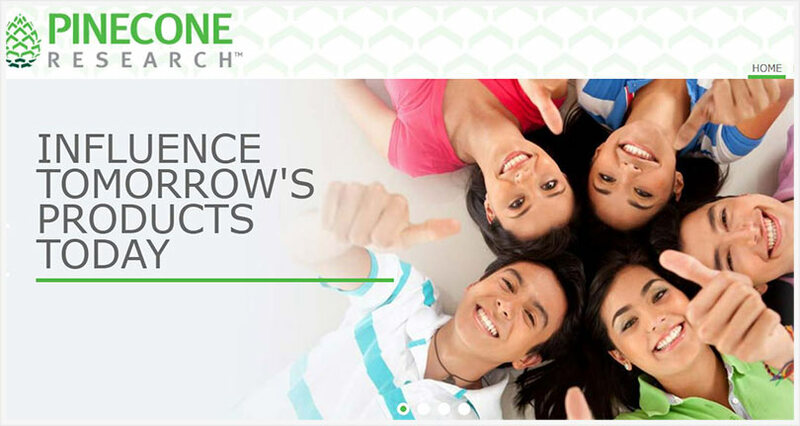 One of the benefits of joining Vindale Research is that there are several different ways that you can earn money. One way is by watching Vindale videos. 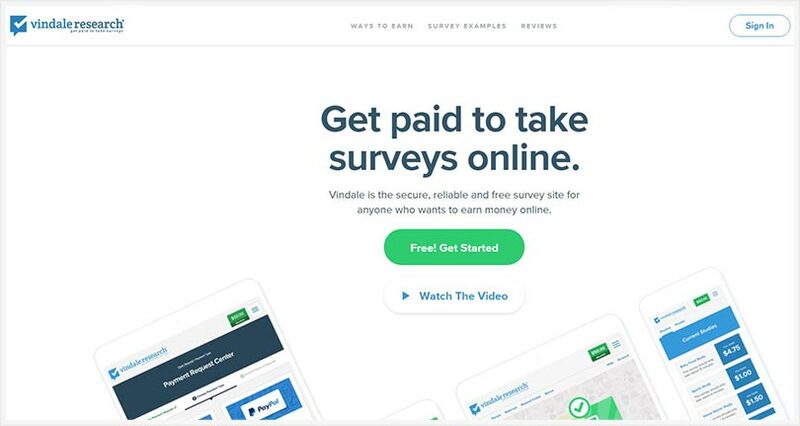 Another way is by referring your friends to Vindale Research and receive $5 for every person that signs up using your referral link. You can also participate in Vindale’s reward mail program. You’ll receive emails with promotional material inside. For every email that you open and read, you’ll get paid $0.10. You also get $5 for sharing a picture of your payment from Vindale. InboxDollars is a super popular survey site and has paid out over $25 million to their members. To get started on the site, create an account. You can start earning points in a matter of minutes. After you complete the initial questionnaire during sign up, you’ll be rewarded with $5! Each survey is different and the longer that the survey is, the more you earn. Most of the surveys on the site will earn you between $.25 and $.50. Larger surveys offer as much as $4. OneOpinion.com is another great survey site that you can sign up to for free and receive email notification/invites when new surveys become available. You get paid for sharing your insights and experiences on a variety of products and services. The sign-up process is easy and straightforward. All you have to do is enter your name address and date of birth, agree to the terms and conditions and you’re good to go. There are two ways in which you can earn money with OneOpinion. One, you can complete online surveys that are about 5 to 30 minutes and pay from $1 to $5 per survey. Two, you can test products that aren’t yet on the market and be compensated for it. Survey Club provides you with a comprehensive list of sites that offer online surveys. As a member of the site you get invited to surveys available from Survey Club partners. When you complete surveys, you will be rewarded for your time. Signing up is completely free and available on all continents. After the basic signup process, you get to select several survey sites you want to partner with and earn cash, bonuses, free items and other rewards. They also offer focus groups that you can join and make from $50 to $200 per hour which is a cool deal!. A focus group is a type of qualitative research that allows you to give your personal opinion on certain products, services and ideas. Questions are asked in a group setting. Need some extra cash? Time to turn your smartphone-addiction into a money-maker. Seriously. There are plenty of money-making apps that will pay you for spending time on your phone. Some of these include apps for the survey sites discussed above. But that’s not all. 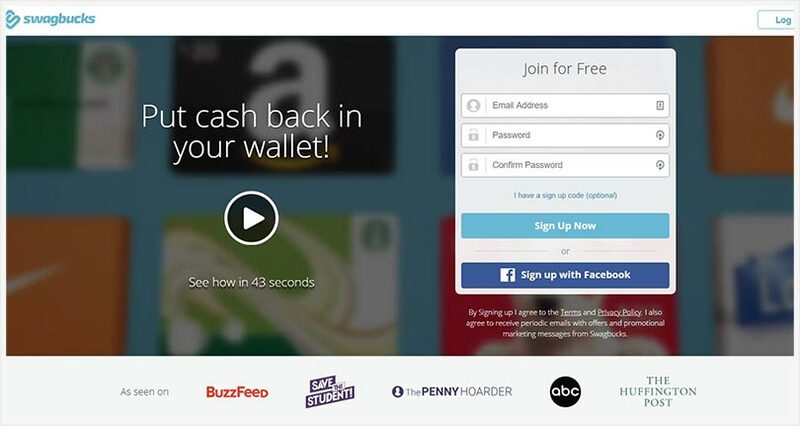 There are all kinds of apps that will lead to a few extra $$, gift cards or even cashback on your purchases. Some apps (like Nielsen) will pay you for just downloading the app and leaving it on your phone so they can collect anonymous data about internet usage. Many of these apps will even offer you a bonus (free money!) just to download the app and sign up. Any extra money is welcome money right? Fancy a free $50? Then download the Nielsen app and keep it on your phone for a year. 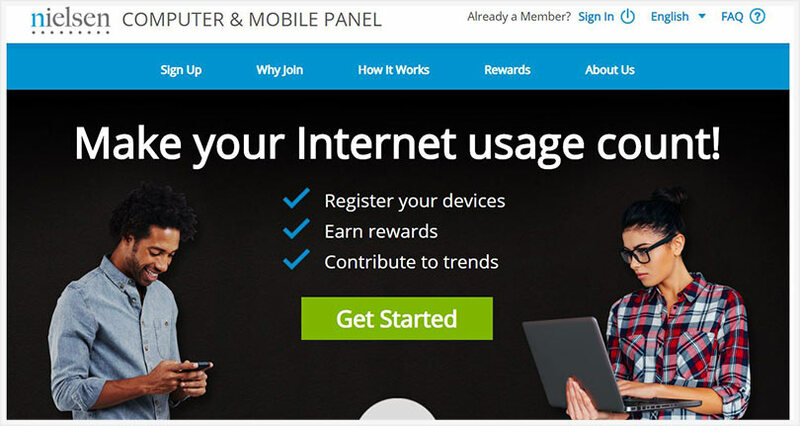 The app will collect statistics on your internet usage anonymously and you will be paid $50 for this simple task. Get $10 immediately no questions asked when you sign up on MyPoints. If you use the app regularly you will also get points that you can exchange for cash, gift cards or physical gifts from a host of your favourite stores. Complete surveys on the Pinecone Research mobile app and earn $3 for every survey that you take. The beauty of this program is that you don’t earn in points but get a flat rate of $3 per survey. 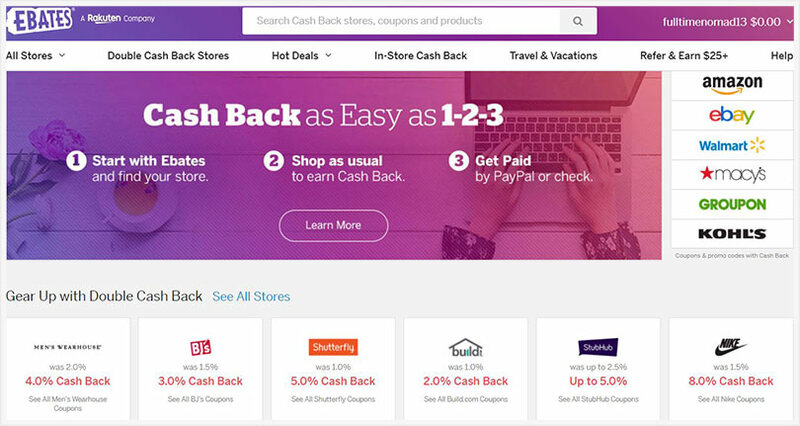 Download the Ebates app onto your phone and do your shopping through them to get cash back. The best part is you get a $10 bonus just for signing up. All you have to do is shop at the stores you love both online and in person and then get cash back on your purchases. People have earned as much as 12% especially during special events, holidays, and promotions. Ibotta is another app that give you back cash for shopping. Make $10 just by signing up. What sets the app aside is that it extends to grocery brands. You can also take advantage of its affiliate program that allows you to invite friends and make $5 more for each friend you refer. Dosh is a smartphone app with a cashback program for purchases at participating outlets as long as you’re using your credit card. You get $5 for simply downloading the app. All you have to do is download the app, link your credit card and start shopping at participating merchants. You get points in your “Dosh Wallet” as soon as you pay for a purchase. Receipt Hog gives you credit when you scan receipts collected in a huge number of stores. They, however, don’t accept receipts from restaurants. Please note that they don’t accept new members all the time so you might have to try several times before you’re accepted into the program. ShopTracker belongs to one of the oldest market research companies (Harris Poll). The app tracks your shopping habits anonymously and shares the info with market research companies. Take advantage of the free $3 just for installing the app! MobileXpression tracks app and Internet usage on your smartphone or tablet. You get your first gift card after actively using the app for a week. You also get points (redeemable for gift cards) each week you keep the app on your phone. Investing money is definitely one of the best-known ways to get rich. But don’t you have to have a lot of money in the first place, to invest it? Nope, not any more. Stash is an investing app for people interested in tech, clean energy, retail stores, etc. The best thing about this app is that it will do most of the work for you. Just pick what you are interested in and receive diversified portfolio options. You’ll then receive a few dollars per week and see your investing principle grow. 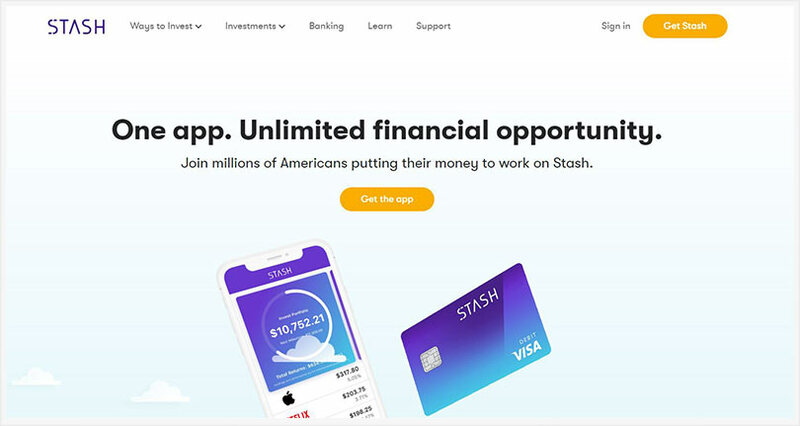 As if that’s not enough, Stash will give you $5 just to get started. Slidejoy is one of the easiest money making apps available. All you need to do is download the app from Google Play store and you’ll start to see display ads on your lock screen. You can then either Swipe Left to Learn More, Swipe Up To See A New Ad or Swipe Right To Dismiss and Unlock Your Phone. You’ll be paid the same amount no matter what option you choose. You can easily make $5-15 per month. This amount increases as the platform learn more about and the ads become more relevant to your interests. You could then easily earn around $200 from the app. If you’ve got some spare cash that you’re willing to invest , you can try out peer-to-peer lending (aka P2P Lending). This is a financial system that matches borrowers with investors that are willing to fund their loans. You can make 2-5% per year per loan. Riskier loans stand to give you a 12% or more return on investment. P2P lending platforms differ from country to country so do a Google search to find out the best available platforms in your country. Start saving up for your future and investing for retirement now by joining Acorns. This is an investing app that lets you buy dividend stocks using your smartphone. You get paid when your stock goes up in value, and when dividends are paid out. Acorns also offer a $5 signup bonus for new accounts opened. Want to know how to make money online in 2019 by selling your skills? Start a service-based freelance business online. This means you provide your skill as a service to clients who have a need for the skill. So you could be a graphic designer and a business could pay you for your graphic design services to create their flyers, business cards etc. To start off, you could join a website like Upwork. Upwork is a platform that brings businesses and freelancers together. As a freelancer, you sign up and create a profile and then start to apply for jobs that businesses advertise. This is a great way to get started, get some experience and build your contacts. You can then expand your business outside of Upwork, start developing your network, and grow it into a sustainable full-time business. There are so many jobs you can do as a freelancer and the list is only increasing every day. Here are some popular freelance jobs to get you thinking. Remember: even if you don’t have a skill, you can always learn a new skill and start a freelance business. 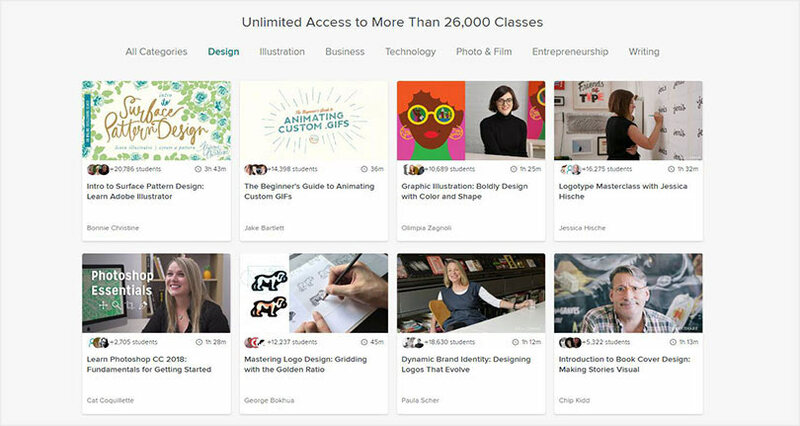 Right now Skillshare.com are offering unlimited access to more than 25,000 classes for free – Click here to access. Are you a bilingual or even a trilingual person? Awesome! Put those language skills to use with a translation job. With businesses going global, there is a huge demand for translators in various areas of business. If you have a very good grasp of more than one language, be sure to check out the demand for translators in your languages. You could start out by signing up for a website like Upwork where businesses advertise lots of jobs for translation. You will see jobs that require website translations to even more complicated jobs such as grant submissions. Pick and apply for jobs that suit your capabilities. Did you know you could get paid for listening to audio and transcribing the files i.e. creating a written version of what you hear? Transcription is a popular online job – especially for those just getting started in the world of freelancing. It is a fairly easy job to get started with – especially if you have good listening skills and a good grasp of the language you are transcribing in. With the growth of podcasts, radio shows and online video, the demand for transcriptionists is on the rise. Additionally, the field of health and medicine has always had a huge demand for medical transcriptionists as well. Jobs are available online and as you start to gain expertise and establish knowledge in specific fields of knowledge, your income will increase as well. Think you have writing skills that can convince people into action? Perfect! Copywriting is the job for you. Copywriters are the creative writers responsible for writing text for ad jingles, brochures, landing page copy, advertising materials and other such jobs. The purpose of their writing is to inspire the reader into action which could mean downloading something, buying something or simply even making a call. There is a huge demand for copywriters – for online and offline jobs. 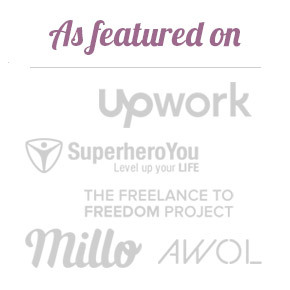 Just sign up to a freelancing website like Upwork to see the variety of opportunities available. Copywriting is a pretty specific writing skill so if you’re not really sure, we recommend taking an online course to get started. Check out our recommendations in the link below. Every business understands the importance of having a business page on Facebook. The problem is many don’t understand how to do it right or, they simply don’t have the time to do it. This is where Facebook specialists (like you) can step in and make money. As a Facebook marketer, you can strategise a brand’s Facebook presence and help them make the most of the platform to reach and connect with their customers. As a Facebook marketer, you will need to be multi-skilled, which means you will need good copywriting skills, be creative, be analytical and of course, have a good understanding of what works on social media. Love a bit of Insta? Addicted to posting stories all day, erryday? Turn your Insta obsession into a job. 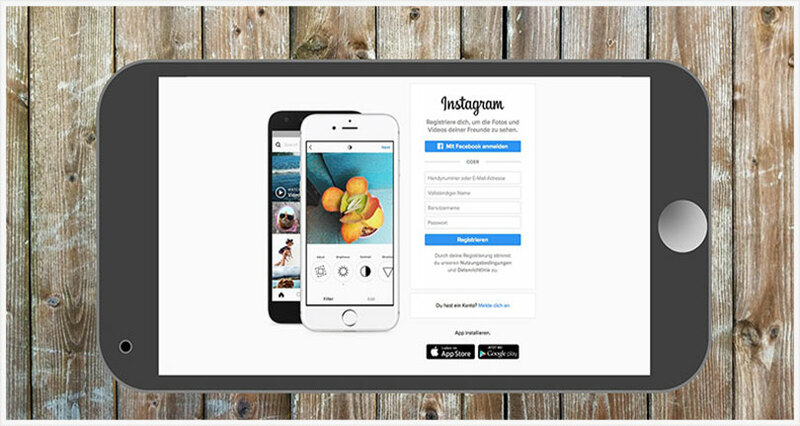 Instagram is big business and if you know how to work the algorithm to invite engagements in the form of likes, comments, share etc – you could be in huge demand. Even if you don’t have any social media management experience… yet, you can sell your knowledge of Instagram and get business owners to hire you. Learning how to be an Instagram marketer is not difficult. All you need is to understand clearly how the platform works, what makes it different from the others and the tactics to employ to generate business growth. What does an Instagram account manager do? Generating engagement with creative strategies. Monitoring and reporting performance of the posts. Do you know how to build a website? It’s a more useful skill than you might realise. Whether it’s building a WordPress website or a more complicated website with complicated coding – if you’ve got the skills, sell them! Almost every business has a website or needs one. But the thing most business owners don’t have… is the ability to build that website. This is where you can step in and turn your skills into a business. You can start out by finding work on Upwork or even through contacting people in your network, including family and friends and then grow your business from there. Not quite there with your skills just yet? No worries. You can start out by taking an online course to hone your website building skills. Check out Skillshare to get started. Digital marketing is any form of marketing done online. It’s a large umbrella of services giving you various options to choose from including advertising, social media, blogging, SEO, content marketing and more. It should come as no surprise to you that digital marketers are in huge demand. Every business – small and large – wants to reach their customers online. Experienced digital marketers help businesses make this happen with innovative marketing strategies. This one is for the social media addict. It’s about time you put your addiction to good use by freelancing as a social media manager and make some good coin. Yes, there are lots of businesses willing to pay you to spend your time on Facebook, Twitter, Instagram, Snapchat etc. As fun as it is, it’s indeed a serious job that requires a combination of skills including copywriting, research skills, customer service/community engagement, organisational skills, technical skills and analytical skills. Creating an effective social media strategy. 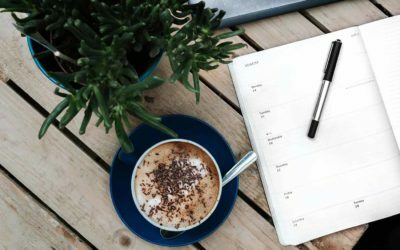 Creating and implementing a content editorial calendar to manage content. Setting up social media accounts. Monitoring performance using various analytical tools such as Facebook analytics, Google analytics, Hootsuite analytics etc. Running social media ads on Facebook, Twitter, Instagram, Youtube etc. Monitoring social media trends in order to stay updated. The good thing is that whether you have these skills or not you can take free online courses and learn them in just a few weeks. Check out Skillshare for some of the best social media online courses. Do you love playing with words? Do you find it easier to express yourself in the written word? You may need to consider freelance writing as a source of income. Thinking you can’t do it because you’re not a writer? The good news is that writing is not necessarily inborn, you can learn it. 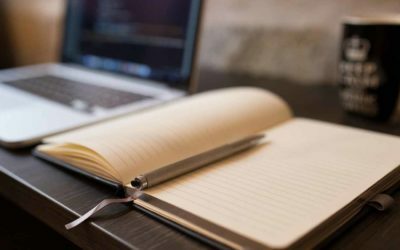 You can start a freelance writing career from scratch – all you need is a keen interest in writing and of course a willingness to learn how to do it well. As a freelance writer, you can work for as many people/companies as you wish. You also get to choose what kind of projects you want to work on and you are at liberty to work from anywhere in the world. Are you creative + technically inclined? 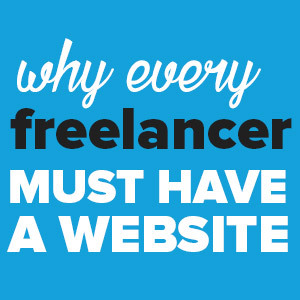 Consider freelancing as a web designer. This is one of the most lucrative freelance jobs because everybody wants good graphics to make their brands and their social media presence to look great – which means, there’s plenty of work for you. And the best part is that you don’t need to go to design school to become a graphic designer! You can take an online course, teach yourself the skills, practice for a while, add some creativity into the mix and you’ll be a successful freelance graphic designer in no time. Software development is one of the most consistently in-demand skills around. So if you consider yourself a software developer, this is your time to shine! From video games to computer systems, e-readers to a variety of software programs – the job of a software developer is varied and in high demand. You can make as much as $100/hour or more if you’re highly skilled. If you’re just starting out, you’ll get about $22 per hour. Not too shabby, right? Ever considered that a skill you have could be useful to a business? Virtual Assistants (or VAs) work in several different areas and provide support to business owners in administrative, technical or even creative areas. Chances are, you already have a skill that a business needs. Businesses hire virtual assistants to handle tasks such as email management, data entry, accounting, booking travel, answering calls, social media management, managing calendars, customer support, and more. As a virtual assistant, you can choose which of these services to offer clients and how much to charge. The more value you can provide to a client, the more you can charge. Virtual assistance is a great way to get started for anyone who has no experience in the freelancing world. 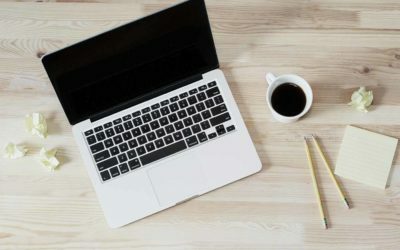 There are plenty of virtual assistant jobs advertised on Upwork so that’s a great place to get started and build up your business from there. Got a love for photography? Let’s turn this hobby into a money maker. Taking up photography is a good way to turn your skills and passions into a profitable business idea. There are lots of different photo styles such as nature, portrait, wedding, studio etc so choose one that appeals to you and perfect your skills in that particular niche. If you don’t have confidence in yourself as a photographer, we suggest you do free shoots for friends and family at first to build your confidence. Once you get comfortable behind your camera you can then start charging. Do you have design skills and want to use them to make money online? Start creating logos for businesses. Logos give businesses an identity and personality. Every business is looking to have a logo that is unique to it. If you can put on your creativity cap and come up with unique logo designs, then you can be sure to always have your hands full. To get started, look for clients who are either just starting their businesses or are redesigning their brand materials. These are the businesses most likely looking to work with a talented logo designer. Are you super artistic but you don’t know how to use your talent to make money? Well, wonder no more. You can develop your skills in illustration and find online work. As an illustrator, you can work with fashion houses, magazines, books, technical design etc. You can also sell your creative illustrations/drawings on sites like Behance and make good passive income. More people watch more videos than they read text. Businesses are now using videos to promote their products or services more than ever. If you’ve got video editing skills, now is the time to put them to use by creating high quality videos for clients, for a cost of course. If you don’t have the skill but you want to learn how to edit videos, take online video editing courses and you’ll be a pro in no time. Photoshop is the king of photo editing software so if you know how to use Photoshop, it can turn into a useful money-maker for you. You don’t need any background experience to be a photoshop master. Simply learn how Photoshop works and you could soon have a profitable side hustle offering digital picture editing and image optimization services. As you gain more experience you could diversify your income by writing (or even filming) Photoshop tutorials. You could make money from your tutorials through Youtube or even sell advanced tutorials for a fee. With increasing security and data privacy concerns around, it shouldn’t be surprising that cybersecurity is a hugely in-demand skill. If you have any experience in cybersecurity you can consult for businesses to keep their data protected. There is a high demand for people this specialised technical skill. Experts believe there will be over 3 million job openings in cybersecurity by 2022. Take advantage of this opportunity and get started today, you sure will be selling your skills like hot cakes in 2022! 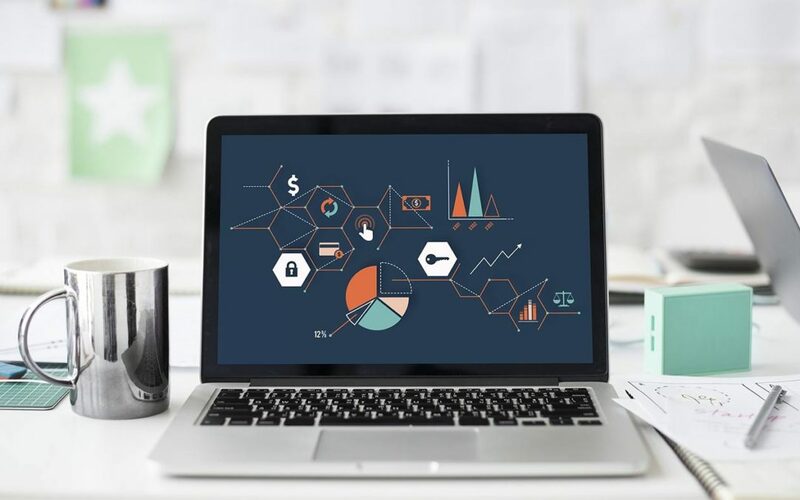 Data scientists are increasingly becoming popular as demand for machine learning and business intelligence continues to soar. Put your analytical data skills to work and start consulting businesses. Data is the future so the demand for your skills is only going to keep growing. Start out by looking for jobs on freelancing sites like Upwork. Once you have built up a reputation with some freelance gigs under your belt, don’t be afraid to “cold-call” companies to sell them your data science skills. Animation is a booming industry. If you’re a skilled animator, considering stepping out of the 9-to-5 mindset and look into becoming a freelance animator instead. Websites, video games, TV, films, mobile devices, and various other forms of media – there is a growing demand for animation almost everywhere you look. Not skilled in a particular area of animation or computer graphics work? No worries. 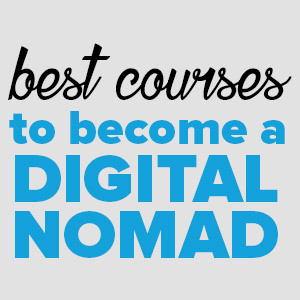 Simply take an online course on Udemy or Skillshare. Like many freelancers, a good place to start looking for animation work is Upwork. This will expose you to a variety of clients and give you the opportunity to build up your portfolio as a freelancer while you’re still finding your feet. As an app developer, you could be working on Android apps, iOS or more. Start by scoping out the work opportunities available on Upwork. This will give you an idea of the types of jobs your prospective clients are looking for. This is also a great indicator of the types of skills in demand and can show you where the gaps in your knowledge are. As a freelance app developer, you could provide your expertise to a number of clients and it’s a great way to grow your experience by working on a multitude of projects. Like social media marketing, every business worth it’s weight wants to use email marketing and wants to do it right. Consider yourself a bit of an email marketing geek? This is the perfect freelance job for you then. From strategy to copywriting, admin to data analysis – email marketing includes a variety of jobs so start by deciding what is the right job for you. Clients look for email marketing help in various ways. If you’re more into the email marketing strategy and planning side of things, there are jobs for that. Some of you may be well-versed in email copywriting and there’s definitely a lot of work for that too. If you’re more of an expert in the logistics and set up side of email marketing, you’ll find a lot of clients looking for help to help them get set up on platforms such as Mailchimp, Active Campaign etc. Take a look on Upwork and you’ll see there’s a massive variety of jobs for email marketers. Have you ever worked as a shop attendant? How about a waiter/waitress? Or maybe a customer agent? Let me put this simply: Are you good at handling people? If you have experience working in the service industry how about taking your skills a notch higher and make more money working as an online customer service agent? Businesses will hire you to provide phone support, email support, respond to customer queries via social media as well as tech support. Admittedly, how Google works is a mystery to most people. Search Engine Optimisation experts are the only people who seem to have a pretty good idea. Nonetheless, businesses need Google to get ahead online. For this reason, they will pay handsomely to have someone improve their Google rankings. Offer your services to businesses on a freelance or consulting basis and help their websites rank better on Google and other search engines. Advertising on Google is one of the most popular ways for businesses to get their name out there among their future customers. But, like most digital marketing channels, it seems a bit mysterious to the average person. If you understand how Adwords works, and can make good use of data to optimise them for better performance, you’ve got yourself a skill you can sell to businesses. From copywriting ads, to the actual set up of campaigns, from running campaigns to reporting on their performance – there’s a lot that goes into making Adwords campaigns successful for businesses and you could be the freelancer that makes it all work. If you already have web design skills you can upscale your skills by learning how to create WordPress sites and related solutions such as themes and plugins. WordPress is by far the most popular website platform and the majority of businesses are looking for someone to create a WordPress website for them. These websites are often easy (for those who know what they’re doing) to create and easy for businesses to manage themselves on an ongoing basis, so there’s a huge demand for WordPress websites. As an extra – you can also sign up for affiliate programs with companies that offer high quality managed WordPress hosting plans and make passive income on the side. There are a variety of online platforms that allow you to sign up and teach students. You could become an online English teacher and teach your students one-on-one via Skype. Or, you could even sign up to a platform like Udemy to sell your own courses. 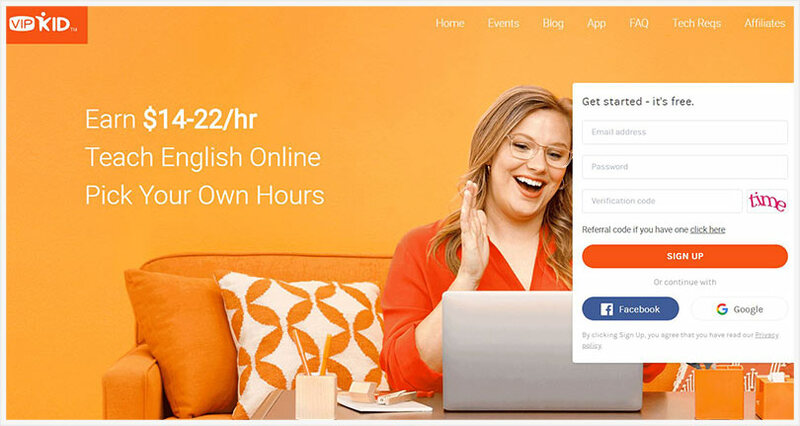 VIPKID is an online teaching platform that connects freelance teachers with Chinese students. The platform is quite flexible and allows you to set your own schedule. You can make over $2000 a month teaching on VIPKID. However, you need a university degree to qualify as a teacher. You can have a degree in any area not necessarily teaching. To get started on VIPKID you need to submit a five-minute application and take a video interview. You can start as soon as you pass the interview and get approved as a tutor. EF gives you the opportunity to teach adults and Chinese kids between 6 to 10 years old. You have to submit an online application to become a tutor. Once accepted on the platform, you can teach from anywhere in the world. Classes take 25 minutes each and are available early weekday mornings and late weekend nights. Expect to earn between $12 to $19 an hour as a teacher on EF. This is said to be the biggest online English education platform in the world. 51 Talk offers 45-minute online group classes to Chinese students. The pay is between $18.93 to $22.00 per hour. To join the platform, fill out their online application. To get approved, you need to include your teaching certificate and any other relevant qualifications in your application. 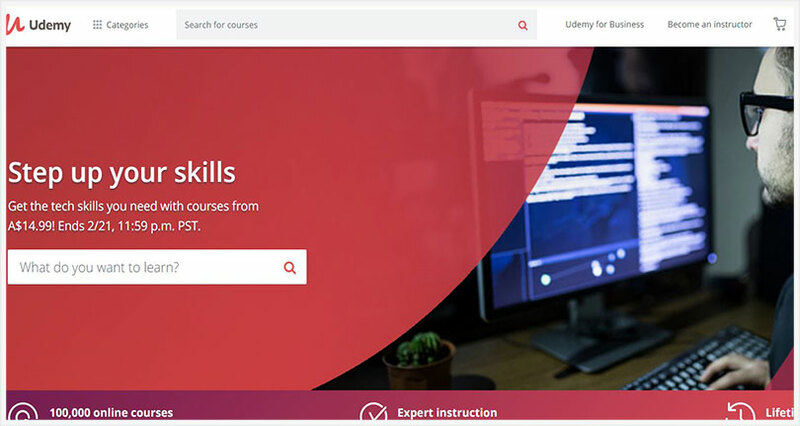 Udemy is an online teaching platform where you can teach various subjects not just language classes. Subjects include business, design, art, education, music, coding, marketing, writing but really… it can be anything you think anyone might have an interest in learning! As an instructor on Udemy, you will create your own course, publish it on the site, and then promote it. If you promote your courses yourself you get to keep all the money you make from your course. But if Udemy does the promotion for you, you only keep 50% of what you make. There are no set rates for courses, you get to decide how much you want to charge for your course. Udemy is free to join. The only thing you’ll be charged is a small processing fee for processing your payments. 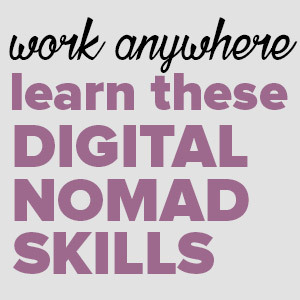 Skillshare, just like Udemy, offers online classes in a variety of areas including design, photography, business, entrepreneurship, film, fashion, music, technology, writing, and creativity. Skillshare courses are offered in self-paced video format. To be a teacher on Skillshare, upload at least 10 minutes of video content and you’re ready to get started. As a teacher on Skillshare you can earn money in two ways. One, through royalties based on the number of students who watch your classes every month. Two, you get paid $10 for every student you refer to the platform. Lynda is part of LinkedIn and offers courses in a variety of topics. Unlike Udemy and Skillshare, you have to pass a rigorous screening process to be a trainer on Lynda. To earn money on the platform you get paid an advance as well as a commission from revenue made by the site based on how popular your videos are. Need to start making some extra cash ASAP? How about using the power of the internet to find yourself some jobs you can do around town? Obviously, these jobs aren’t ones you can do online but since we’re still making use of the online gig economy to find these jobs – we’ve decided to include them in this list. Some people use these options as side hustles to supplement their other incomes. Others turn these jobs into their sole source of income. Uber Eats is a food delivery service by Uber. Join the service free and start making money by delivering food to customers. You simply need a car, bike, or scooter to get started. Once you’re accepted as a driver, accept the delivery terms to begin accepting delivery requests. You can turn delivery on and off as you wish and do deliveries whenever you want – for an hour, a weekend, or throughout the week. If you’re a dog lover you can get paid to spend time with these adorable creatures. Rover is a platform that allows you to take care of dogs for pay. You can join the platform and offer dog services such as dog walking, dog sitting, dog boarding, doggy day-care etc. to dog owners. The platform lets you set your own prices for your services. This means you can make a pretty decent amount of money taking care of dogs during your free time. This is an online service that pays people to shop and deliver fresh groceries to customers’ doors. The service is flexible and allows you to choose the hours that work for you. You can work as a Full-Service Shopper where you receive customer orders through an app on your smartphone and then shop and deliver groceries to the customer’s door. You can also work as an In-Store Shopper. You will receive orders through a mobile app and then shop and bag the groceries in-store before moving on to the next order. If you love shopping this could be a pretty awesome way to make some cash all while enjoying the therapeutic effects of shopping! Are you on a weight loss journey looking to get rid of the extra weight you packed over the holidays? Or you simply have been trying to lose weight over the years but you just can’t find the discipline to stick with it. How about adding some fun to this not-so-fun journey? Yes, you can get paid to lose weight. HealthyWage allows you to sign up for a team challenge and get paid up to $10,000 if you lose the most weight in your team. You also to earn your entry fee back for maintaining your weight for a period of six months. Hey, who doesn’t want to lose some pounds and make money while at it! Uber has revolutionized public transportation around the world – but you already know that. Thanks to its convenience, more and more people now prefer using Uber and other similar services to move around. 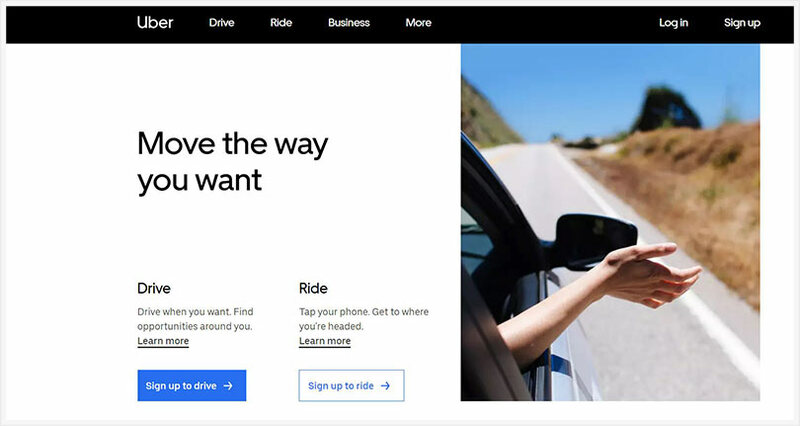 If you have a car join Uber, Lyft or any other similar service in your town and earn extra cash by driving people around. Currently, new drivers who sign up with Lyft earn a $300 bonus after their first 100 rides. The beauty of such services is that you can set your own working hours making it easy to do it on the side even if you have a full-time job. You can decide to do it over the weekends only or every evening for a few hours after work. Start a grocery shopping and delivery service to serve people who are too busy to shop. You can work with local grocery stores to deliver customer orders for a fee. Or you can join online platforms that connect personal shoppers with people looking to pay someone to shop for their groceries. Another way of earning quick cash is by doing chores for people. You can get paid to do chores such as handyman repairs (think fixing leaky sinks, pipes etc. ), paintwork, mounting and installation, lawn mowing, helping people move etc. Use sites such as TaskRabbit or Airtasker to find people who are looking for help with their chores for a decent amount of money. Do you have a car that is parked in your garage most of the time? List it on Turo and make extra money by renting it to people who need to borrow a ride. The site allows you to choose your own rates giving you the chance to earn money for letting other people use your car instead of letting it waste away in your garage. Turo covers all cars with $1 million in liability insurance just in case of an accident or car theft. The site also features an earnings calculator that lets you see how much you stand to make per month. Get out all those gift cards that you have been keeping away in the hope of using the ‘one day’ but you know pretty well that you’re never gonna use them. Or, have you been doing online surveys and now have more gift cards than you know what to do with? You don’t have to force yourself to buy an item you don’t need simply because you got a free gift card. 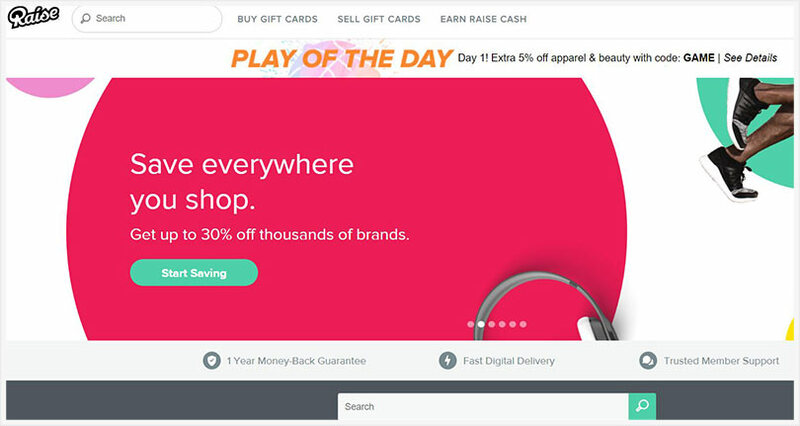 Sell those gift cards on Raise, an online marketplace for buying and selling gift cards and make some much-needed cash and spend it on something else that you need. Get paid to simply walk into a store! Shopkick is a site that pays you to walk into a store and scan items. All you have to do is download the Shopkick mobile app, enable your location and start earning points. You get points every time you walk into a store, whenever you scan an item or make a purchase. Shopkick pays you in the form of gift cards to your favourite stores such as Walmart, Target, Sephora, and Starbucks and more. This is a new interesting way of earning extra cash. Go into your garage or storage room and get out all those items that you’re currently not using. Such items could bring you some pretty good money. Rent out items such as cameras, bikes, scooters, sound systems, chairs, tables, utensils, drapes, you name it, for a few days for a couple on bucks. Sites such as Fat Llama offer a worry free rent out service by giving you comprehensive insurance that covers your item. In addition, the site will give you $25 just for signing up and an extra $25 for each member you refer and successfully completes the rental process. As a Search Engine Evaluator, you will be paid to research on how relevant search results by various search engines are. You get to evaluate how useful web pages that show up on search results are in relation to a set of predetermined questions. In short, you research on whether people are getting the appropriate search answers to their search queries when using various search engines. If this sound like something that tickles your fancy, join Appen to start working part time, or even full time if you like, as a Search Engine Evaluator. The easier an app or a website is to use, the more popular it will be. Companies want to pay you to test out how easy (or difficult) it is to use their apps or websites. This is an easy way to make some extra money online during your free time. Here are a few reputable online platforms that connect you to app/website testing jobs. Whatusersdo – This site will pay you $8 and above per test. Tests take around 15-20 minutes. You need a Mac or PC and a mic to get started. Enroll – This another site that will pay you to test new websites before they are published. UserFeel – This testing site will pay you about $10 for every test you take. Analysia – Earn $10 for every test that you take on Analysia. Tests on the site are pretty short and will take around 15 minutes of your time. TryMyUI – Just like on Analysia, TryMyUI tests are short and take around 15-20 minutes to complete. You get paid $10 per test. Don’t have enough time to complete an online task but you still desperately need to make some extra money? Don’t give up yet. Spend your commute time or lunch break to quickly enter online contests and giveaways. These won’t take up a lot of your time and you can enter as many as you wish. Check out Online-Sweepstakes.com for a list of current sweepstakes that you can participate in now. Have you been called a grammar nazi? Do spelling mistakes irk you to the core? How about putting your quirkiness to good use? If you are looking for a new job, or even just a side hustle, proofreading may be something to look into. You can earn around $500 – $1000 as a proofreader. You don’t necessarily need past experience to get started as a proofreader. However, having an eagle eye for detail is critical. You’ve got to see those mistakes from a mile away! You can start out by looking for jobs on Upwork. Where are the math whizzes? Yes, you, the people who love numbers. This job is for you. You don’t need to be an accountant to be a bookkeeper. You can learn the skill and turn this skill into a great side hustle (or even a full-time job) with earning as much as $60 per hour. You can work for several clients at the same time. Preparing balance sheets, income statements and other financial documents. With so many small businesses forming every year, bookkeeping is a job that will guarantee you ongoing work and a regular income. This is for those who love everything money and not just earning and spending it. Is business news your favourite news segment? This could be the side hustle for you. Day trading is the buying and selling of security (shares) within a single trading day. Day trading can be done in any marketplace but is most common in the foreign exchange (forex) and stock markets. The goal here is to make profits from the price fluctuations of the shares. You buy when the price is down and sell when it goes up. For beginners, it definitely is a bit complicated. Luckily, online trading houses and brokers have made it easier for the average, individual investor to get into day trading. Day trading can be a very lucrative side hustle, as long as you do it properly and with caution. Learn how the forex market works and spare sufficient capital before you get started. Do you dream of writing a book but think that it’s just too complicated and expensive for you to do it now so you keep postponing it? Do you cringe at the thought of getting rejected by publishers and so you think of writing a book as a hobby and not as a source of income? Well, I’ll have you know that’s a thing of the past. Publishers no longer have so much power over writers thanks to self-publishing platforms such as Amazon Kindle. As an indie writer you need zero startup costs, maybe just a few bucks to pay a proofreader. You also don’t have to worry about getting rejected by publishers. Just write a good book that people will want to buy and read. You can make anywhere from $100 – $500 per month from your first book as an indie author. Of course, the more experience you gain and become popular, the more you stand to make. This is another awesome side hustle for someone who has little time to work online but has a few dollars that they can invest for a profit. Flipping websites and domains is a great way of gaining maximum return for minimum effort. The process involves buying websites and domains and selling them for a higher price. There are thousands of website owners looking for somebody to buy their web properties and you can take advantage of this to make some profit. Find websites being sold for just a few hundred dollars and resell them for several thousand dollars. Do you have a skill that you believe should be earning you money on the side? Anything? Think jewellery making, craft making, illustration/drawing, graphic design, social media promotion, web design, animation, doing voice-overs, singing, songwriting, impersonating celebrities (yes! ), transcription, virtual assistance, financial consulting, software development etc. 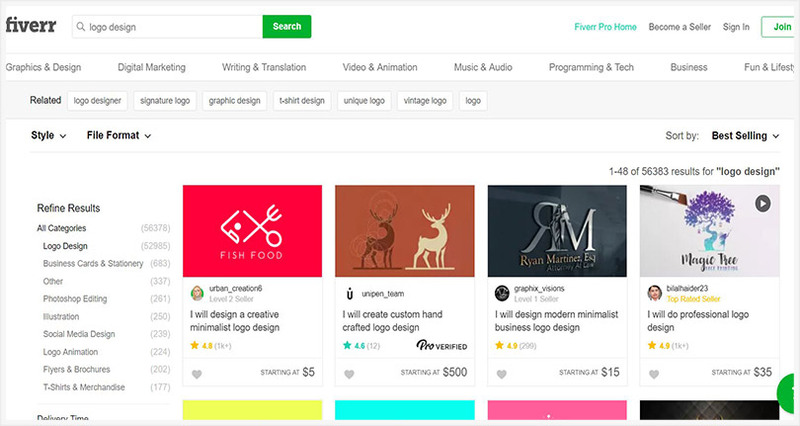 The fact that you can sell any type of skill under the sun is what makes Fiverr unique compared with other online freelance marketplaces. You don’t need to be a rocket scientist to start making money on Fiverr. To earn money on the platform, create a gig. This is basically your personal advertisement page where you showcase the kind of product and/or services that you are offering. Buyers then buy your ‘gig’ and you get paid once you deliver your service or product. Fiverr is a great place for newbie freelancers who might not have tons of experience and want to build up a portfolio of their work. So do check it out today and see what you can offer for some cash. Do you love travelling, exploring new sights and have a really good sense of adventure? Would you love to show people around your hometown and neighbouring towns without necessarily operating a tour company? Join Airbnb Experiences and start getting paid as a local tour guide. The best part is that you don’t need to have a home to rent out in order to be a host for an experience. You simply host experiences and get paid to show visitors around your hometown, or conduct workshops for visitors on topics and skills you have experience in. Sounds like so much fun doesn’t it? Just imagine getting paid to meet new people and have an adventure! 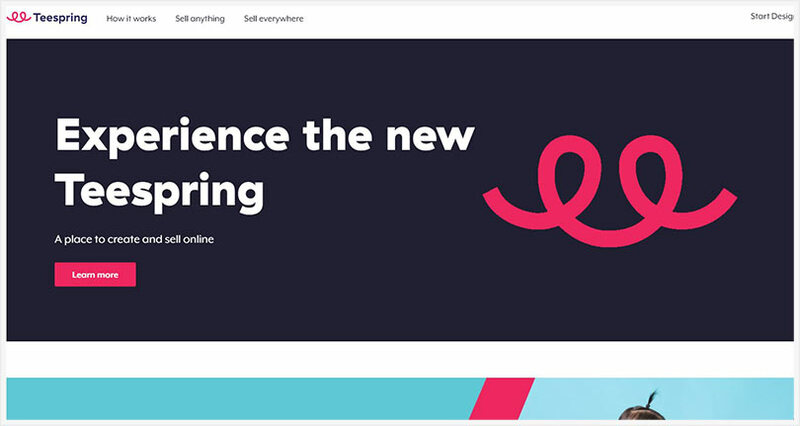 To get started, create an experience through Airbnb’s website. You must be knowledgeable about the experience you’re offering. For example, if you want to take people on a beer tasting tour you must know where the best breweries are and which ones will offer beer tasting. Your experiences need to be unique such that guests wouldn’t be able to find them on their own. They should also be engaging and meaningful for your guests. Are you a DIY fanatic? Can’t get off DIY pages on Pinterest? Take your zeal for DIY to the next level and make money from it by teaching DIYs. You certainly know the ins and out of your DIY, now teach people how to do it. Winning combination of doing what you love most and getting paid for doing it! Create short videos demonstrating how to do your DIYs and get people to buy them possibly on Fiverr. You could also create a website and charge a premium for people to access your DIY content. Do you have a soothing voice that makes people want to keep listening to you? Digital publishers are definitely looking for you. Game developers, animated film-makers, and training video producers are always looking for voice over artists to read movie scripts, do radio commercials, read books, voice cartoons, animations and explainer videos, act in radio or audio dramas, voice video games, podcasts etc. Find good paying voice over jobs on sites like Upwork. You can also search for existing opportunities on filmmakers and producers websites. Who doesn’t search the internet at least a dozen times every day? Did you know that you can get paid for this simple and fun thing that you already do? Thousands of businesses are in always in need of high-quality research. Hence, the need for someone to surf the internet and find all kinds of interesting facts, figures, statistics, studies, articles, and more that will be useful in decision making and achieving business goals. You can choose to specialise in research areas you enjoy learning about. Or, you can decide to take on research work in different areas as necessary. 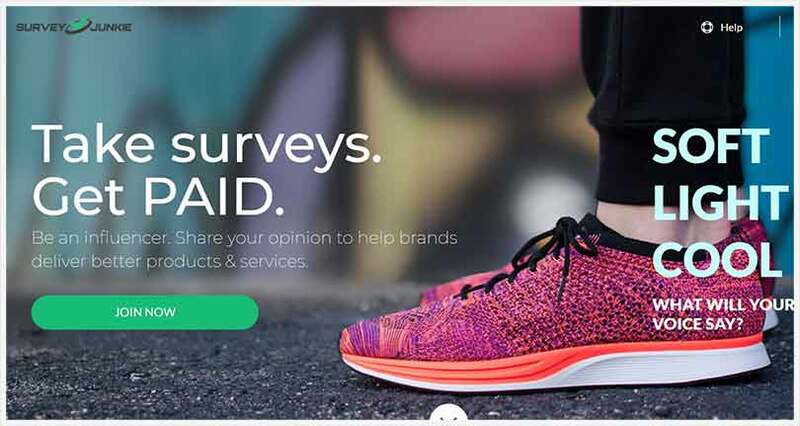 Acop is a survey platform that pays its members to take interesting online surveys and research projects such as product testing and judging the newest advertising campaigns. Occasionally, you might get mail or telephone surveys, but the majority of them will be web-based surveys. Unlike most other survey sites, Acop accepts memberships worldwide. It also doesn’t put surveys on their site. Instead, you will get invited via email to surveys that you qualify for. You get to earn from 100 to 5,000 points per survey or research project, depending on the length of the survey. A point is equivalent to $0.01. You can cash out your points and receive a check for your total earnings. Remember – all you need to do is start. If all these ways to make extra money online seem overwhelming, just stop and think about what you can do today, something easy, something simple. You don’t have to make a massive change right away. Start small. Maybe start doing some surveys, or sign up to be an Uber Eats delivery person. Start to experience what it’s like to make extra money using all these amazing online resources we have available to us. Start something today. It’s your first step towards entrepreneurship. Once you do one thing and it works out, you will be motivated to do more and try more things. So it doesn’t matter which of these options you choose to make extra money – just… start. So.. what are you going to start with today? this was very helpful, thank you full-time nomad. Glad you found it helpful David! This is amazing! I would have never known about half of these options. Thanks for showing all these opportunities to get started making money online. You’re welcome Chantal. Good luck!